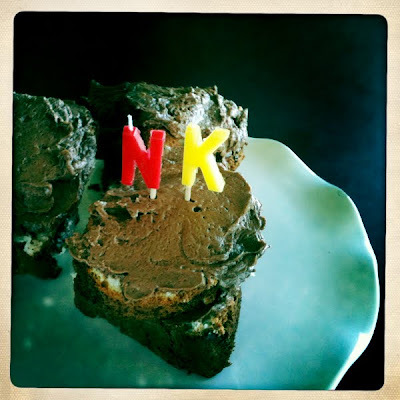 meals at home: HAPPY BDAY, NK! In celebration of my husband's birthday, I made - per his request - angel food cake with chocolate frosting. He told me his grandmother used to make it for him, Awwww! Since I wasn't there to ever taste his nana's cake, I can pretty much say with certainty, her cake was better - it always is - however, this came out just fine. (Maybe it's me, I'm not a lover of angel food cake to begin with, oh the things we do for love...) Anyway, the chocolate frosting is every bit as good as you'd expect with butter as the main ingredient, it's a stand-up frosting recipe to keep on file. I usually only feature food on this site which reflects my personal eating and cooking style, that being, local, seasonal and organic. The only way that this cake fits into that type of classification is that it is seasonal in so far as it is a birthday cake and we celebrated a birthday. (OK, the ingredients were all organic, too). Other than that, this one is the anomaly for this blog and I am posting it with love and the fact that we all deserve a little b-day cake every now and then! *My cake stuck to the pan, so I had a brilliant idea... I cut pieces of cake (about the size of cupcakes) and layered them with some frosting in between and on top, so we had individual pieces of cake). Separate eggs, reserve whites and leave at room temp for a about 30 minutes. Sift powdered sugar and flour 3 times, set aside. Add cream of tarter, vanilla, salt to egg whites and beat on high speed. Gradually add sugar and beat until stiff peaks form. Fold in flour mixture, a little at a time, until incorporated. Do not over mix! Gently pour into an un-greased, completely dry tube pan. Bake for about 35 minutes, or until cake springs back. Remove and invert pan and allow to cool. (You will need to double this recipe in order to make enough icing to cover the angel food cake, other wise, this makes approx 1 cup of icing). In a bowl, whip butter until creamy with hand held electric mixer. Separately, sift together cocoa powder and sugar. Slowly add to butter and combine. Once combined, add vanilla and half and half, mix until creamy and spreadable. This is lovely Angel Food Cake and Chocolate Icing. The photo is mouthwatering. If you wont mind I'd love to guide Foodista readers to your post. 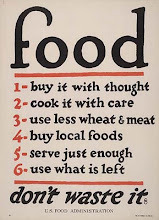 Just add the foodista widget to the end of this post so it will appear in the Foodista pages and it's all set, Thanks!